Every beautiful landscape in Kent, WA must be maintained on a regular basis. Many businesses and homeowners simply don’t have the time to fit in this important step. That’s why we are proud to provide the highest quality, most reliable lawn maintenance plans here at Lake Washington Landworks. Whether you have recently installed your landscape or already have an existing one, we are able to provide you with a custom, quality landscape maintenance program. Not only will regular maintenance keep your lawn in compliance with local codes and regulations, but it will also prevent disease and overgrowth. 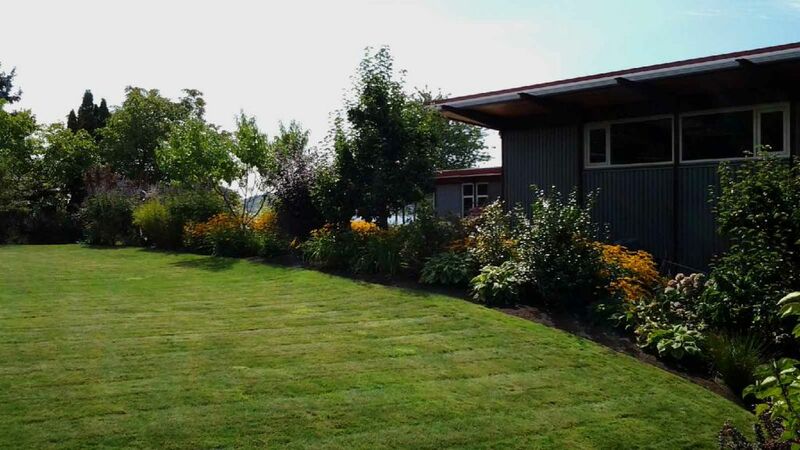 As the leading landscape company in Kent, WA, we provide a variety of maintenance services to our clients. Our maintenance plans are divided into 3 sections of service. Your property may require all 3 or just one or two. We offer plans in Weekly, Bi Weekly or monthly but Our only offer service for 12 month contracts. We allow you to select the days that fit in your schedule. As a trustworthy landscape company in Kent, WA, we stand behind our maintenance services. Lawn Service - We have the knowledge and training to know how and when to fertilize, control moss & insects, adjust for water needs, mow and edge. We take care of everything so that you and your family can enjoy your lawn all year long. When you hire us to mow your lawn, we will do so in a quick, yet precise manner. We take care of everything, from edging to bagging. A healthy lawn must get the proper nutrients. We provide high quality fertilization services that will provide these necessary nutrients to all your plants, from flowers to trees. Our team will create a customized fertilization plan that meets your lawn’s needs. Pests are a leading cause of premature plant death. We can treat and prevent common pests with proven methods. We offer lawn clean-up services. Dead leaves and debris can negatively affect the appearance of your lawn. We provide quick and reliable clean up maintenance. Our team will work hard to remove leaves and broken branches from your property. Pruning - Our program includes pruning trees, shrubs and hedges to maintain their appropriate size in the garden. We work on heights that are accessible from 12’ ladders and we work with certified Arborists when work is needed at higher levels. Pruning plants prevents overgrowth and allows you to control plant shape, resulting in a beautiful landscape. The health of your plants is our top priority. We know how to prune plants of all types, without compromising the health of the specimen. As a premier landscape company in Kent, WA, we have a keen eye for detail and will ensure that every limb is properly trimmed. Flower / Garden Beds - We specialize in maintaining beautiful borders. We have the skills to beautifully maintain Roses, Perennials, Annuals, Vegetables, Herbs, Containers and Hanging Baskets. Flowers are part of seasonal landscape in Kent, WA. We know which flowers will bloom every season, guaranteeing you can enjoy flowers all year long. Our experienced gardeners provide flower mulching services. Mulch helps to keep weeds under control, while also keeping soil wet. Your garden will thrive after a proper mulching. We can help you plan and plant a vegetable garden. Let us know what vegetables or herbs you like, and we will do the rest! At Lake Washington Landworks, we will work with you to create a custom maintenance plan for your landscape in Kent, WA. Our maintenance plans allow you the freedom to accomplish other things while we do the work. You can sit back and enjoy the garden without having to worry. Give us a call or contact us through our contact form and we'll get right back to you!